Agree with Johnnie O. Using the OS X mail client provides a minimal experience. Windows novell groupwise client free download. Best Video Software for the Mac How To Run MacOS High Sierra or Another OS on Your Mac. Has announced plans to release a GroupWise client for Mac. The GroupWise Mac client will be released alongside a version for Linux, and both are coming later this year, according to Novell. 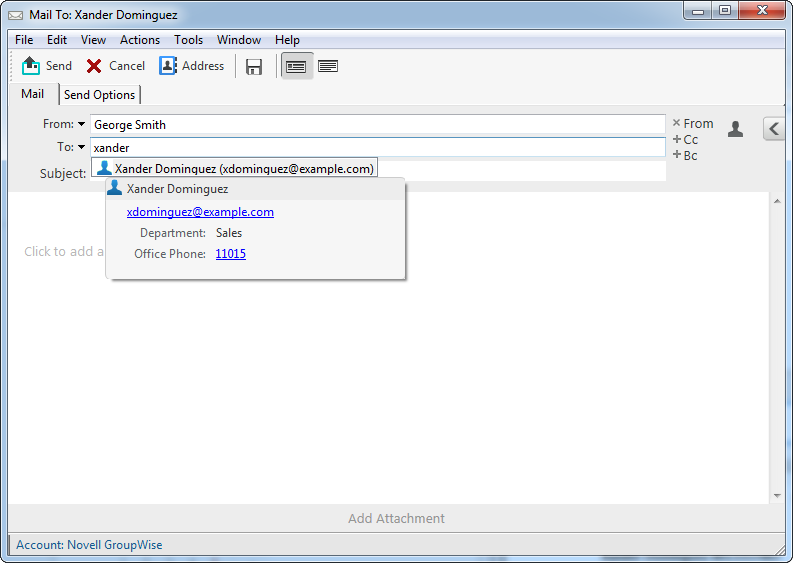 GroupWise is a workflow collaboration product designed for e-mail, calendaring, instant messaging. Our Mac Users operate in the same business environment as our windows Users- they need an identical feature set! Using the Mac email client/calendar/contacts doesn't provide for: proxy access, shared folders, calendars and address books etc. How can GroupWise be a 'collaboration' platform without these features? And, We need an arsenal of reasons to stay on GroupWise. There is constant peer [company to company] pressure to move to exchange- some valid and many not. There is a great opportunity here for GroupWise to move out of the shadows; I hope it doesn't end up a missed opportunity. Otherwise, they be sitting at the bar with the folks at RIM/Blackberry talking about the old days. Agree with the 'and Linux too' comments (as it hardly promotes SLED if your own collaboration product pretty much ignores it) however I'd guess there would be more 'decision influencers' bringing in their own apple products into the boardroom from home than there would be ones sitting at the back fighting over whether their Mint or Ubantu desktop was the best. If you want to stop unneccesary moves to Exchange get behind the smug guys winning the 'my kit is cooler than yours' competition in the boardroom. Mike A.; I think you are missing the overall point of my comment. Think of it in terms of a quote from a movie 'If you build it, they will come'. Or: I'm not going to invest and switch to a different type of car if it is missing critical components that help it to function like other [contemporary] cars; it won't even be considered as an option. Some of the 'pressing projects', while nice to have, are akin to putting new artwork in the cabins of the Titanic. My point is: without appealing to a wider base and addressing multiple OS's, the ever shrinking User base will continue to do just that! Will Groupwise be a viable collaboration platform in 2-3 years. Mustek dv526l driver. Think the movie is 'Field of Dreams' not sure...jr. The work done in GW2014 R2 for Mac () does also benefit Linux as I remember. I've not tested this yet myself nor had Novell at the time it was discussed (last Brainshare) and they doubt it would be official supported @R2 release but these protocols added in R2 should work also with for example Evolution on Linux. This contributes to the idea, which is true for the device market, that a user does want to use the default applications on the device and not want to download another (groupwise) app to access its corporate mail/calerdar/tasks/etc. Well, everybody is more or less happy now we have the GW Mobility Pack. Mind if we would have kept alive the previous Mobile Server solution for GW we still would be stuck in the past. That said, I feel a good basic support for cross platform standards and native clients is essential to get users (basic) access to the system. That means we need a GREAT WebAccess. Now the GW Admin part is finished, its now time to go back to the webacc part and make it on par with or (I prefer) even better than the Windows client! Here in the Netherlands are quite some schools are using iPads and Chromebooks. Those need a full featured WebAcc client. Maybe we could make a small app on those platforms that starts WebAcc in a frame so it looks and feels as a real device app. It should also be able to take care of the 'send to' like functions. Kind of how the Vibe App works. Speaking of the Vibe App. I do not like that one:) As I said we like multiple easy apps with a limited set of functions. The main reason people tend to use those default device apps is they give the best experience managing mail, task, using calendar etc. We do not want apps on a device that do all in one app, cause it makes switching between those functions harder.